Based in Buffalo Grove, IL, Roots Therapeutic Academy’s mission is to ensure that preschool children with autism and other therapeutic needs are successful and fulfilled in their academic, social and independent lives. We employ a comprehensive, tailored approach to Applied Behavior Analysis (ABA) in coordination with our multidisciplinary team of therapy professionals that supports long term growth and success. Half-day preschool program for children ages two to six with a variety of therapeutic needs. Services include applied behavior analysis, feeding therapy, speech therapy, occupational therapy, and social work. Individual and group therapy throughout the day. Transition planning to prepare each child for entering the public school system with success! Highly customized scheduling to meet the needs of each child, including option to develop a full day schedule combined with center-based and in-home therapy. Upon entering public school, we are there to support you and your child throughout the process with advocacy and collaboration between our team and the school system. Roots Therapeutic Academy has a multidisciplinary team of professionals who collaborate on all aspects of your child’s education. Our specialists include Board Certified Behavior Analysts (BCBA), Occupational Therapists (OT), Speech-Language Pathologists (SLP), Registered Behavior Technicians (RBT), and Social Workers. Regardless of your child’s needs, our BCBAs work with classroom staff for all children to apply the principles of ABA, ensuring success in academics, social, and independent functioning. 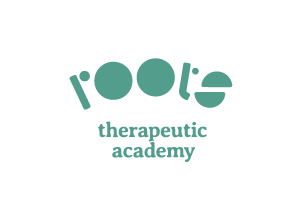 Roots Therapeutic Academy in Buffalo Grove is now accepting center-based therapy clients. Fill out the form if you are interested in signing up.